As Halloween approaches, you have an opportunity to mindfully choose how your family will celebrate Halloween. Here are some things to get you thinking as to how you might create time to connect and have fun together as a family. This may look different for each family. As parents you can explore what some of the options are in the community as to events and activities being sponsored. Find ones that match with the age of your children and dovetail with your specific values. There seem to be a very wide range of some events that are very young child friendly with a “no scare” environment all the way to very adult, at times violent scary events. As parents offering ones that you feel fit your children’s ages and personalities make good common sense of course. As you consider things to do, remember some of the best fun is “homemade fun”. This can be to everything from carving or decorating pumpkins to making Halloween treats together as a family to decorating the house or yard together for the holiday to hosting a back yard carnival style party for some other families. 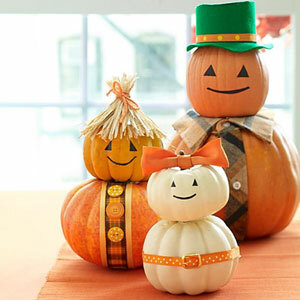 Consider a family meeting where you present some ideas for some family fun activities that would be possibilities during the Halloween time frame. These go on of course throughout October with Halloween being the crescendo. Only presenting activities that you are ok with makes this a win – win situation. Ideally being able to let each member choose one thing they really want to do for Halloween would show respect for everyone’s ideas and wishes. Balancing family fun and letting children attend their own events happen for many families. But without careful planning, especially as children get older there can be very little time for family activities. Finding a way to keep adolescents involved with your family activities can be even more challenging, but it is possible. Allowing for children and teens to have their time with friends is a natural progression of growing up, but having some family time is ok and if done in a fun way and with their involvement in the planning can work and be a way to keep your family connections alive and healthy. Enjoy your time together really “being there”. This would mean putting on hold phone calls, texting, etc during your activity. Including all family members in this tech free day would mean so much more one on one communication and real face time with each other. Yes you will probably have some groaning and complaining over this limit, but that’s ok. Let everyone know why – that you really want to spend time with them so to do that everyone is going to go native for a bit and just talk and focus on one thing at a time. It is worth it. Everyone likes to have this real-time and focus. Good luck in creating your own family fun. So many times some of these activities turn into family rituals and traditions. And oh what fun memories they create!